Danjiangkou (China) (AFP) - A towering dam in central China holds back a vast expanse of water destined to travel over 1,000 kilometres north to Beijing, but critics say it will only temporarily quench the city's thirst. China's capital on Saturday received its first flows from the South-North Water Diversion Project, one of the most ambitious engineering projects in Chinese history. After decades of planning and at least $33 billion of investment, over a billion cubic metres of water is projected to flow to the capital every year, through more than 1,200 kilometres of channels and pipes -- the distance from London to Madrid. "Beijing is now formally receiving water" from the project, the city's government said in a text message. Another 8.5 billion cubic metres -- equivalent to 3.4 million Olympic-sized swimming pools -- will reach provinces along the way, planners say. China's government says the project, which will ultimately have three routes and an estimated $81 billion total cost, will solve a chronic shortage in China's northern cities. Water availability per person in Beijing is on a par with Middle Eastern countries such as Israel, threatening economic growth, the key source of support for China's ruling Communist party. 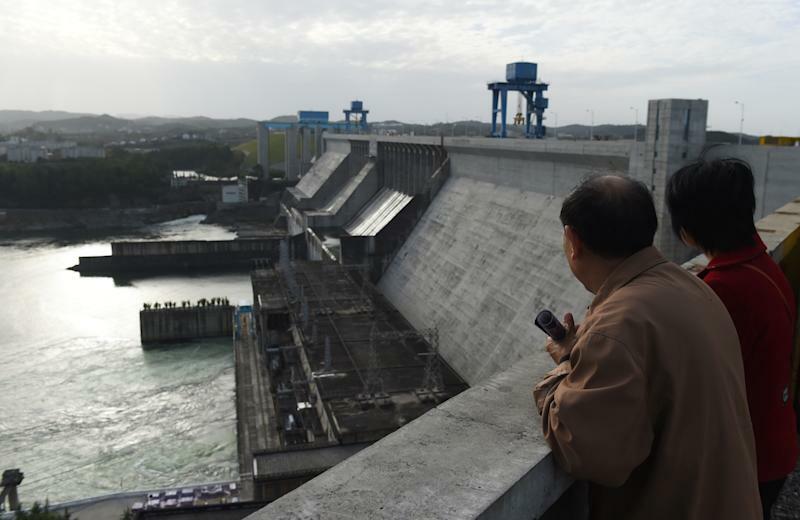 "This water needs to go to the North," said a tour guide surnamed Chen, standing atop the 110-metre-high dam at the Danjiangkou reservoir in the central province of Hubei, which sits 120 meters above Beijing's sea-level to allow flow by pure gravity. Among the engineering feats involved are a 7.2 kilometre-long tunnel beneath the Yellow river -- China's second biggest waterway -- described in official reports as "the most enormous river crossing project in human history". To carry the flow over one river in Henan province, Chinese engineers built a 12 kilometre aqueduct -- the longest in the world. But critics say that the scheme's success is jeopardised by declining rainfall in the south, and it will only act as a temporary stopgap in the north's insatiable demand. Northern China supports nearly half the country's population and economy alongside two-thirds of its arable land, but has just a fifth its total water supply, according to the World Bank. Looking over the Yellow river in 1952, Communist China's founding father, Mao Zedong is reported to have said: "The north of China needs water and the south has plenty. It would be fine to borrow some if possible." At a time when a single word from Mao could launch a project, studies were swiftly begun but technical concerns and lack of capital meant the idea was shelved until a revival by then-president Jiang Zemin, whose government approved it in 2002. Its construction has since taken on added urgency with water levels per person in Beijing falling to just 120 cubic metres -- less than Algeria and roughly on par with Yemen, both desert countries. The project's eastern route, built along the 1,400-year-old Grand Canal, began transporting water from the Yangtze to Shandong province last year but has been dogged by pollution concerns, and some fear the same fate could befall the pricier central section. State broadcaster CCTV reported last year that the Danjiangkou reservoir had become a "cesspool" due to rampant discharge of sewage into its tributaries, with human waste and animal corpses a common sight in one of them. Officials have reportedly closed thousands of factories upstream from Danjiangkou, and this year announced that the water was good enough to drink. 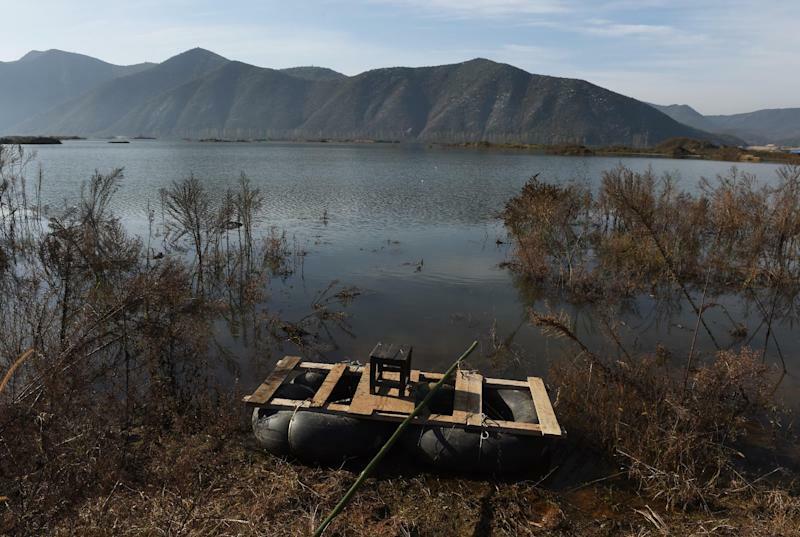 But years of declining rainfall in southern China means it now regularly sees droughts of its own, and analysts say the project will exacerbate those strains. "The basic trend in the South is that rainfall decreases each year," said Wu Xinmu, of the Water Research Institute at China's Wuhan University. Flow on lower sections of the rivers which feed the Danjiangkou reservoir will decline dramatically and the project will "threaten the local supply of drinking water and influence farming irrigation and industrial production" in parts of central China, researchers at the University wrote in a report. The central route has forced the relocation of more than 330,000 people, according to state-run media. But the 1.05 billion cubic metres it is intended to deliver to Beijing every year will be not be enough to end the city's thirst. As China's cities become richer, water consumption by citizens has rocketed, and is set to grow further. The capital's annual water use has reached 3.6 billion cubic metres, and with supplies at only about 2.1 billion cubic metres it already faces a 1.5 billion cubic metre shortfall every year. 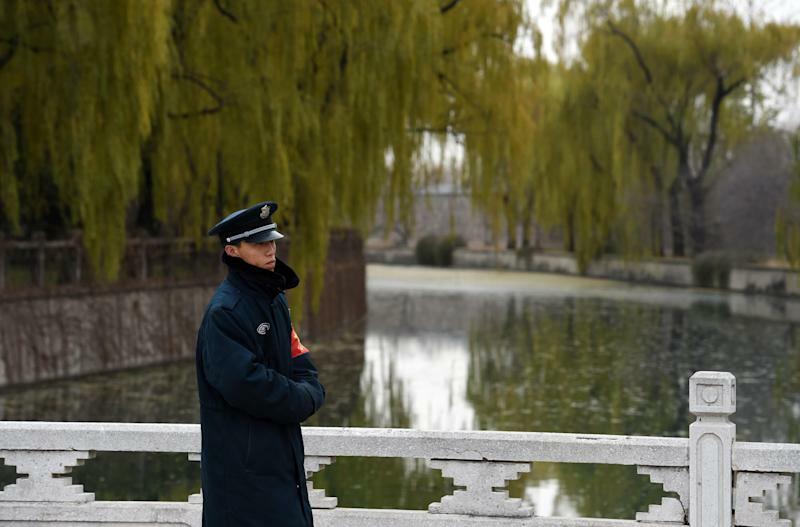 Environmentalists say water conservation is an urgent priority, and prices -- currently well below global averages at around 4 yuan per cubic metre -- need to rise. A "supply-side approach" exemplified by the project "does not address the underlying causes of the region's water stress", said Britt Crow-Miller, assistant professor of geography at Portland State University, who has studied it. "China's current development model is very short-sighted," she added. "It's about keeping things growing at all costs... and deferring the consequences as far into the future as possible."